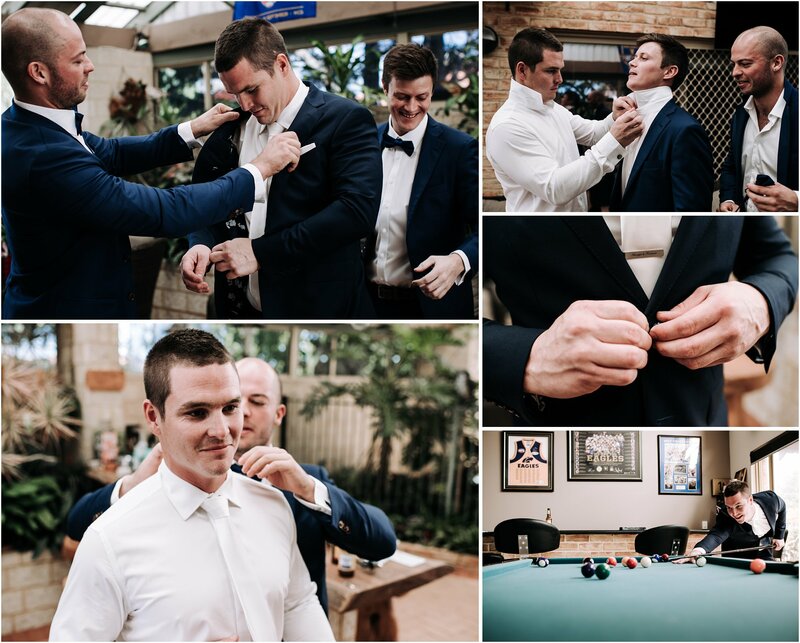 Jarryd got ready at his parents home in Ocean Reef, while Samantha and her bridesmaids got ready at Joondalup Resort. 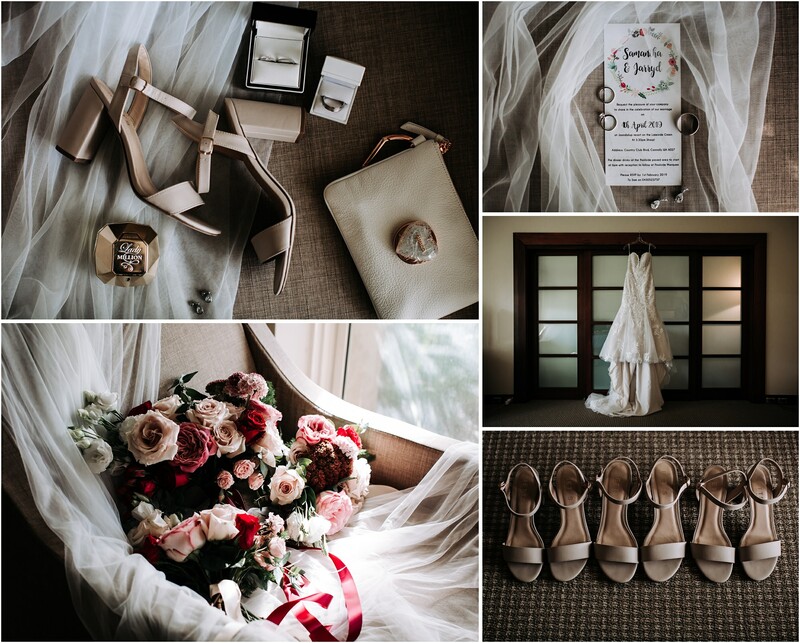 Their room overlooked their ceremony which was overlooking the lake. We went with the bridal party in buggy for photos before returning to the poolside marquee for the reception. 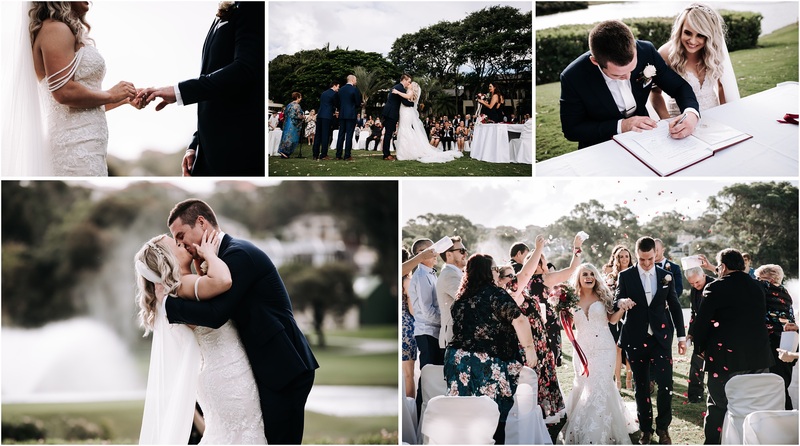 Joondalup Resort creates an ‘all in one’ wedding experience to ensure the special day is ahassle free one. 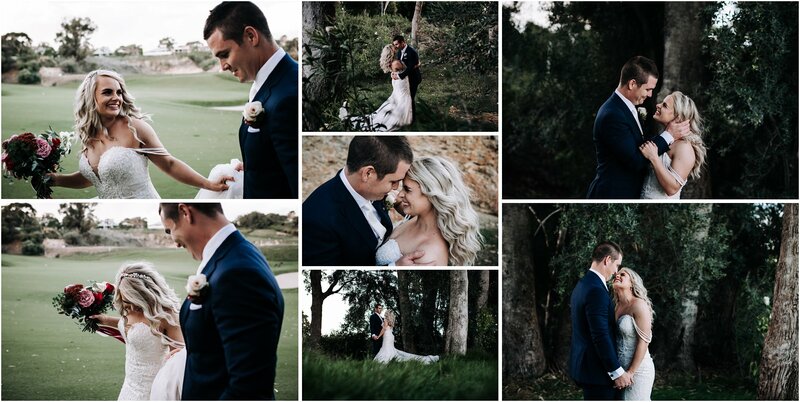 After getting ready in one of the spacious rooms, you can have the Ceremony in one of the picturesque garden settings. Then have breathtaking photographs around the Resort grounds. 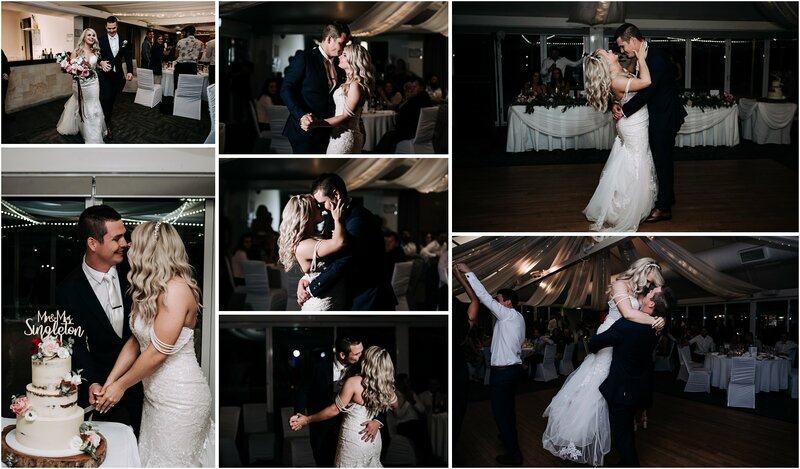 The resort has 7 superbly equipped function rooms catering for weddings of all sizes, whether it be an intimate dinner with your closest family and friends to an extravagant grand affair in our Lakeview Ballroom seating up to 450 guests. Follow on to luxurious refurbished accommodation to complete the wedding day experience! Maple and Wren is a bespoke Perth based floristry and event designer. Wedding and event florals are some of their favourite jobs to work on. 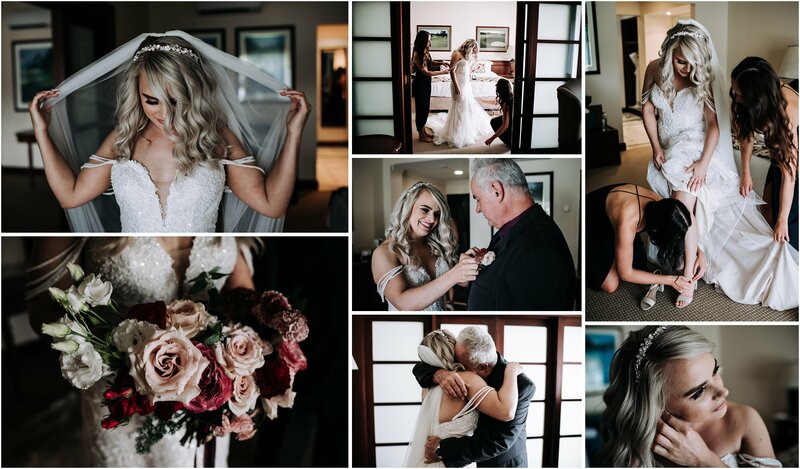 The creative little clocks getting ticking with excitement when they can fill a space with florals, bring a vision to life and add some blooms to some bangin’ brides as they walk down the aisle! 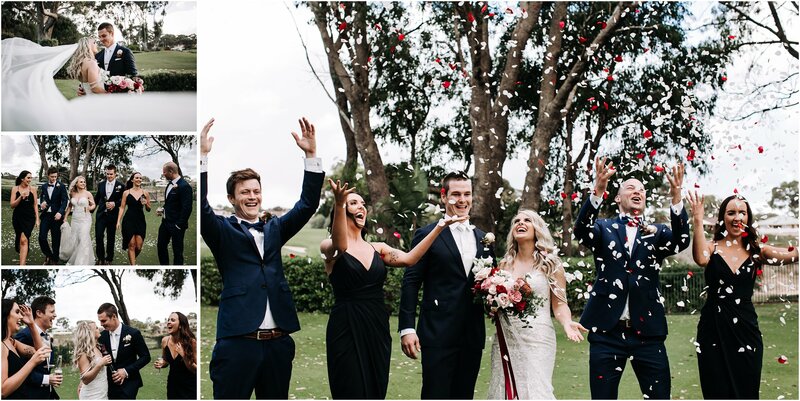 They work with the clients to create something spectacular to fit the colour palette and style of their wedding or event, helping to make an impact in a floral way. Maple & Wren specialise is unstructured arrangements cascading with flair, favouring the non-traditional in a big, bold and often bright way. 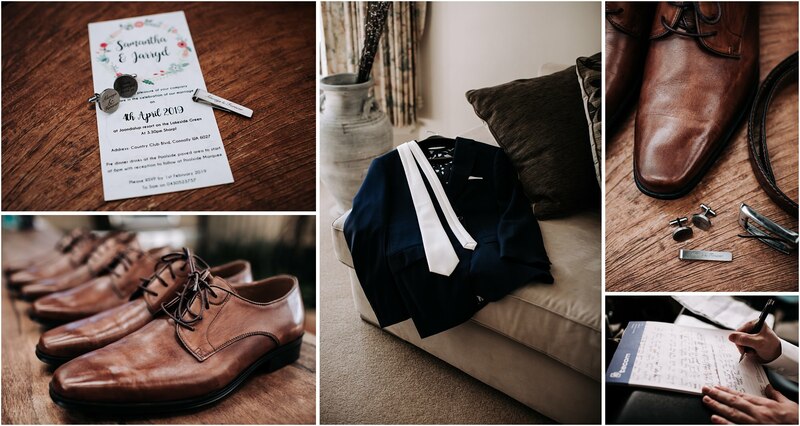 Each event they work on is tailored to suit the client, ensuring no two weddings or events are ever the same.